Meet our Executive Chef Derek Hines. The Columbus Conference Centre has partnered with Executive Chef Derek Hines of Boutique Catering as our in-house catering partner. Chef Derek is committed to ensuring your special day is realized for you and your guests by creating a meal that is elegant and made only with fresh ingredients and the greatest finesse. 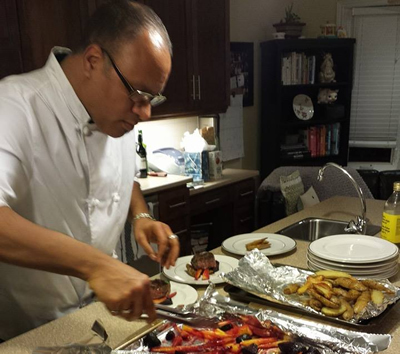 Chef Derek will meet with you regularly to discuss the menu and to cater to any special needs. Derek can cater to any health requirements and menu options as requested. Wines, beers, liquors as requested.